A newly channelled & certified Reiki Healing Modality; Galilean Healing is a Beyond Mastership attunement for those with Reiki 2 & above. It draws on the Christed Consciousness Gateway with Jesus of Nazareth & his circle of healers from Galilee. Balancing the Divine Masculine of Christ with the Divine Feminine of Mary Magdalene. Working the whole circle of healers & visionaries. What does Galilean Healing do which makes it so different? ?? Change in blocking mindsets & restrictive beliefs which can lead to emotional & physical dis-ease. ?? Rebalancing of the vibration of life since a trauma or prolonged exposure to the limiting beliefs of others. ?? Removes these restrictive mindsets, beliefs & blocks, back to childhood & at the Source of the seed. ?? Instils Self Love, Compassion & Nurture. ?? Works using Advanced Reiki Techniques, Crystal Therapy & Hypnotherapy. This a highly effective & life changing, multi-dimensional healing technique. This attunement is Master level. It works with the symbols for Reiki 2nd degree, plus two different Master symbols, which elevates & calibrates the vibration of Reiki, to beyond Master level. You will learn to work with Jesus's amazing circle while connecting into the Earth & the Seas. Drawing on energy from both above & below, in order to facilitate both Astral & Physical healing simultaneously. A second day of learning is available for those who wish to learn how to remove previous life & this life seeds & traumas through deeper hypnotherapy techniques. Assessment through the workshop & 9 case studies, personal healing journal for the next 21 days, as well as an open book test. From this you will receive a certificate which is insurable through Balens. 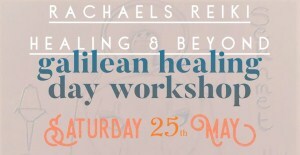 The cost of the workshop is £250, which will include a workbook, a Louise Hay book & two healing crystals to take away with you. A deposit of £50 for the day is needed. Please contact me to book a place. Venue to be confirmed but either Chandler's Ford or Winchester.